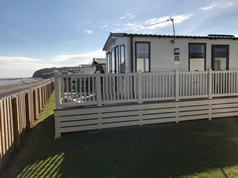 Sea View Caravan available at Blue Anchor, Somerset. Steam Railway very close. Click here. Address: Petra Cottage, Private Road, Taunton, TA2 6AJ.